You know it instinctively: A good night’s sleep is essential for good health. It makes you feel rested and ready to take on the world. Yet many people don’t get the sleep they need. Sometimes this is related to sleep-related breathing disorders (SRBD) — their own, or those experienced by their sleeping partners. cause many medical issues. These might include high blood pressure, irritability, excessive sleepiness during daylight hours, certain eye conditions, obesity, and a number of other health problems. Snoring is one of the most common symptoms of sleep apnea, occurring when muscles relax in the throat and soft tissues collapse while a person is unconscious, obstructing airflow. 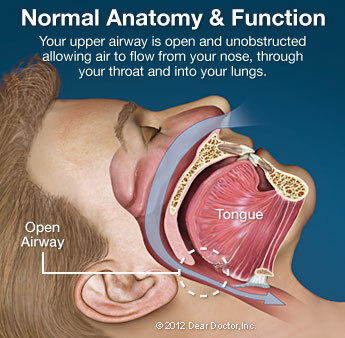 When this happens, someone with sleep apnea may wake numerous times to prevent these muscles from blocking airflow for too long, and consequently lowering oxygen levels in their blood. The sufferer may not be aware they woke up at all, but the effects of interrupted sleep cycles can have dire consequences. Did you ever think a dentist would be able to help you sleep better? Probably not. However, people suffering from SRBDs are treated by dentists more often than one might think. If you or someone you care about are suffering from snoring, exhaustion, and restless nights, you probably feel desperate to fix the problem. However, there is no need to plan an operation on your throat muscles just yet. 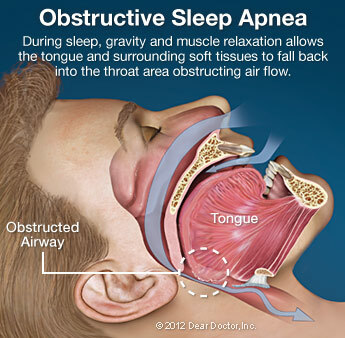 All of the problems sleep apnea causes can often be fixed with one simple, non-invasive solution. Oral Appliance Therapy is a procedure where a device is built to hold the lower jaw forward while you sleep, and eliminating airflow obstruction. This is a much simpler solution to fixing an SRBD than complicated breathing machines or risky surgery, which would not only be stressful on your body, but on your wallet too. At Dental Professionals of Lincoln Park, we can customize an oral appliance and design it to your specifications, as well as monitor the use and successfulness of your treatment. There is no need to go through another night of interrupted sleep, tossing and turning, or snoring loud enough to wake your neighbors. Call us at (773) 327-4442, and make a consultation appointment today.